The development of data assimilation methods and optimization algorithms is of particular interest for applications in the Earth sciences, aerodynamics and space dynamics. Data assimilation deals with the problem of estimating model parameters or model state variables by combining prior estimates and observations, together with information about their uncertainties, in a statistically optimal manner. 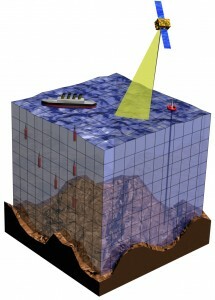 CERFACS has well-established data assimilation activities in oceanography, atmospheric chemistry, hydrology/hydraulics and wildfires, which are conducted in close collaboration with CERFACS partners, and leading operational centres and research institutes in forecasting and retrospective analysis. Optimization concerns the development of numerical algorithms for solving diverse linear and nonlinear problems. It involves studying the properties of the algorithms, such as convergence and complexity, as well as improving their performance through preconditioning techniques. CERFACS develops derivative-based and derivative-free algorithms for a variety of applications including data assimilation, Earth imaging and aerodynamics design. 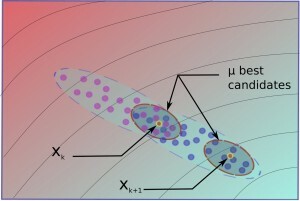 Accuracy, efficiency, scalability, robustness and practicability are important considerations when designing methods for data assimilation and optimization. To develop effective methods requires a good understanding of the underlying application and problem characteristics. Hydrology/hydraulics: Water resource management and flood risk monitoring associated with the dynamics of continental waters are of first importance for public safety and financial . Flood and inundation forecasting relies on numerical modeling tools for hydraulics and hydrology combined with a wide range of observations (in situ and spaceborne). CERFACS is developing in collaboration with EDF, CNES, SCHAPI, CNRM, …, variational and ensemble data assimilation methods based on hydrologic/hydraulic solvers (among whom MASCARET and TELEMAC-2D). These implementations are part of active research activities and of their transfer to operational level. Wildfires: Real-time prediction of wildfire spread and emissions has been identified as a valuable rsearch objective with direct applications in both fire risk management, fire emergency response and fire-induced environmental impact in the context of climate change. The predictive capability for wildfire behavior at regional scales relies on a semi-empirical modeling of a propagating front (i.e. interface between burnt and unburnt areas) at land surface, which involves biomass, topographical and meteorological data that are embedded with uncertainties. 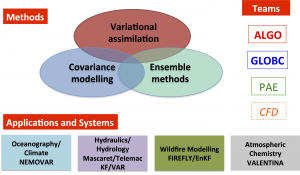 CERFACS is currently developing in collaboration with UMD and SPE an ensemble-based data assimilation system named FIREFLY, in order to sequentially estimate input parameters and the simulated fire front position when fire front position observations are available and thereby to improve the forecast performance of fire spread models.